NOTE: First, Wallwisher, the popular virtual “corkboard” or “bulletin board” Web tool changed their name — they’re now known as Padlet (though all their old links using the Wallwisher name work fine). Now, Corkboard.Me, a similar tool, just announced they’re changing their name, too — they are now known as NoteApp. Wallwisher (now called Padlet) was the first online application that let you easily place virtual post-it notes on a virtual corkboard or bulletin board, and allow you to post text, images, and/or videos on them. This kinds of apps have many uses. I particularly like them for easy social bookmarking (my students, for example, post their favorite language-learning games on them so their classmates can try them out. I also have students use them to supplement inductive data sets (a series of pieces of information about a topic( they have categorized in the classroom. Once they categorize the information, they write a summary sentence about each category and find an image that goes with it. You can see many examples on our class blog of how they used Wallwisher to create one of these on Nelson Mandela. Several similar sites have followed in Wallwisher’s wake, and they have been helped by periodic technical issues Wallwisher has seemed to have (recently, though, they seemed to have fixed them). I thought I’d make a list of these newcomers. I have not included any that do not allow inserting of photos or video, though. Without that ability, I don’t really think they bring much value-added benefit, but leave a comment if you think I’m wrong. I also have not included any services that charge for creating more than one bulletin board. Wallwisher now called Padlet, the granddaddy of this kinds of apps, lets you, with very, very minimal registration, create a “wall” where you can place virtual sticky-notes. You can allow others to also place notes on the board, or keep it so that only you can do so (which is what I would recommend for students). The sticky-notes can include images you grab off the web, videos, or websites, and you can add text to them (you can also just include text without adding anything else). Each sticky has a 160 character limit for text. NOTE: New Development: Wallwisher, the great virtual “corkboard-creator” tool, has just announced some nice improvements. They include making it even easier to create a corkboard and having immediate real-time collaborative abilities by seeing what people you invite are doing on it as they do it. They say there is more to come in the next few days. I’ve tried out both of those improvements, and they work very well. They’ve also changed their name to Padlet. Wallwisher went through a period when it was very buggy, but they’ve come on strong over the past year to become a top-notch tool. Corkboard Me (now called NoteApp) is a Wallwisher-like tool. The site has just announced the ability to embed your virtual bulletin boards, which you are unable to do with Wallwisher. Other features include real-time collaboration and a chat room for the people collaborating. You can post images, but not videos. You used to be able to use it without registration, but changed that so now you do…. Popplet is like Wallwisher on steroids. You can make an online “bulletin-board” with virtual “post-its” (called “popplets), just like in Wallwisher. And, except for the fact you have to register to use it, Popplet is just as easy and, in some ways, easier to use with a lot more functionality. With Popplet, you search for images and videos on the Web directly within the “popplet” instead of copying and pasting the url address (as you need to do in Wallwisher). You can draw within the “popplet” and it doesn’t appear to have an limit on the number of characters you can use. You can connect the “popplets.” You can also embed the whole thing. Spaaze is similar to the others on this list, with registration is required. Everything is free now, but they say after they move from beta that they will charge for more than one bulletin board. So, I don’t know how long they’ll last on this list. Group Zap joins a long list of online virtual “corkboards.” It has some nice features, including the ability to convert your board to a PDF and being able to “drag-and-drop” images and documents from your files. You can’t add photos by their url addresses, unlike some other similar sites, and there’s a limit in the number of photos and files you can upload for free. I just received my invitation to join Mural.ly, and am very impressed. I’d strongly encourage you to register for one. It lets you drag and drop images and links (and the links appear as thumbnail images on the screen);it lets you write on it or add speech bubbles — it’s basically a super-duper-duper Wallwisher (Editor’s note: Unfortunately, a reader tells me it’s no longer free). RealtimeBoard is an online whiteboard that seemed like a decent tool for real-time collaboration. It’s easy to use, and lets you upload images from your computer or by its url address. They offer free “Pro” accounts to educators. 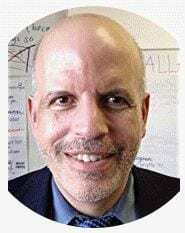 Richard Byrne recently shared about a new site that might end up being the best of the bunch. It’s called Stoodle. Like the best of the other sites, you can create these bulletin boards easily without registering and you can collaborate with others to create them. * the ability to search and find images on the Web within the application itself. With the others, you have to find an image in another tab and then paste the url address into the site. Stoodle gives you that option, too, but searching within the site makes it a lot easier. * The chat feature between collaborators is text and audio. I don’t believe any other similar tool as the audio chat feature. * unlike Padlet, you can’t embed a Stoodle board. * Using Stoodle the first time isn’t as intuitive as Padlet. It would be nice if they had a short video or just some screenshares identifying how to use the icons. One can figure it out in a minute or two by playing with it, though. Just note that in order to move around the virtual “post it” notes, you have to first click on one of the icons on the left. I learned about TUZZit from Carla Arena. It’s a free online graphic organizer tool that provides lots of different options of organizers (you can also create your own); lets you paste online images videos, virtual post-it notes and more onto them; and then you can share your creation with online collaborators. In some ways it seems like an Exploratree on steriods (that site is on Not “The Best,” But “A List” Of Mindmapping, Flow Chart Tools, & Graphic Organizers list). In other ways, it reminds me of tools on this list. Stormboard, which is free for educators at least through July, 2017, is a nice new collaborative online “corkboard/bulletin board” where you can share “stickies,” including photos, videos and text. Slatebox appears to have a lot of bells and whistles. However, the feature I like most is its ability to easily search, label, describe and connect photos. That capability makes it a great tool for students to create picture data sets. Plus, no registration is required. “Wakelet” Creates Ingenious & Easy Way To Import & Save All Data From Storify! Netboard.me was suggested by Tiziana Angiolini, via Richard Byrne. Padlet’s Price Update Riles Teachers, Raises Questions About Sustainability of Freemium Models is from Ed Surge. It’s about the recent decision by the popular Padlet tool to only allow three free boards per person. Personally, I’m not too concerned about it because I think most teachers have multiple email addresses and can register for three free ones at each one, and I’m not sure how many teachers would have their students create more than three each year. The article also says that Padlet is developing another more low-cost plan. 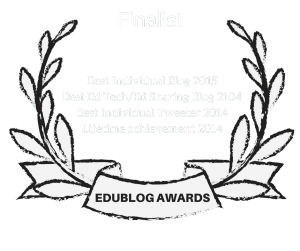 Nevertheless, there are tons of alternatives to Padlet, too and you can find them on this post. I only have tools there that let you also post images and links, because that’s really the only way I would use them in classes or in professional development. However, there are some tools that can function more like a text message bulletin board, and Richard Byrne shares some of them here. Ryeboard is a new Padlet-like tool without any bells-and-whistles. I swear by linoit. It’s more customizable and supports Chinese characters. I am one of the founders at http://www.corkboard.it and thought you might like to check it out and maybe include it in the list. Although we don’t play literally with the metaphor, we are about to release a new version of the app that is more of a visual representation of a cork board. In addition to the note-taking aspect of these kind of apps, corkboard.it also integrates social and location-based postings. I haven’t heard of the last four, and I thought I had seen all of the online cork boards out there. Thanks for sharing. brilliant info mate. thank you for your time.. you are doing the world a service. Now can we just find one that’s available for DOWNLOAD to your PC? You know, for the not-so-minority of us that often turn off the Internet to remove distractions when we’re trying to work? Not to mention that it’d be nice to use when Internet’s just not available whether it’s wanted or not. This is a useful overview, thanks! Do you know if any of these offer notifications – for example by email – when a new note is added, or a note is modified? Corkboard.it sends you email notifications when postings are added to a board that you belong to. Just found this list and have found it very useful. I work in Community Engagement and can see great potential for use in my work of tools like Wallwisher. It be good if there was a wall/board that could be locked to invited contributers only. Any ideas? I believe several on this list have this feature, but can’t remember which ones. Mural.ly is not a protected site. Has anyone had problems with it? I am looking for something that is an app for phones (IPhone & Android). Is there a such thing out there? We use a production board now that we have POST-ITS for the job and we move them around as they move through production. I would like for people to be able to see it realtime and have access to it and do it on a phone or ipad. Or am I out of luck? I’m not aware of one, but perhaps one of the people who have previously commented on this post are…. Unfortunately, the best cork product on the net is no longer available. 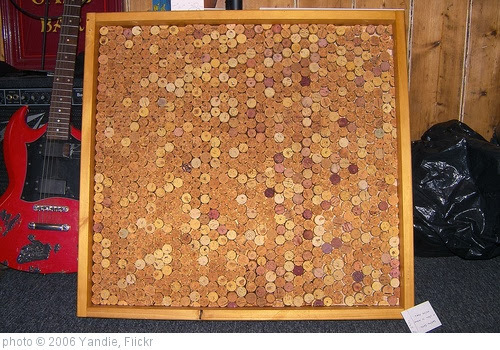 The mycorkboard screen saver was the best cork application I ever used! I went to download it today and found that it is no longer available. This really upsets me, as they had an amazing product! I wish someone would do something similar, as it was the best out there, hands down! I do not like having to go through a browser to do something. I also prefer to have an application that actually resembles a corkboard interface. This group took everything one step further, though, by including various packs for holidays, etc. It was just a lot of fun! Even working people need something fun and engaging to interact with. The only down side was that it was a screen saver type of application. I would prefer an app that entirely took over my desktop background, like a wallpaper, but interactive. http://www.mycorkboard.com STILL allows you to download the basic program! If you have the old CBPakxxx’s (001, 002…5xxx… and/or beyond), and if you retained your registration key, the progam and all of its add-ons STILL works! I just downloaded it and installed my dozens of add-on paks from an archive drive and my Windows 8.1 computer is now alive and well with the best reminder/catchall screensaver ever created. And all of the clever gadgets are there, including your ability to import your own pix as a corkboard background, interactive date and clock displays, and so on. I wish I knew the developer’s name and address – I would send him/her a thank you note. He thoughtfully kept up the basic site, even though he says he is too old to keep it up, so that we can still download this excellent Windows 95 program that still lives on. BTW – The basic program works perfectly well without the add-ons; they just add more. You still get interactive date and time displays (digital and analog), notepads, virtual push pins, some backgrounds (corkboards), and a few gadgets as soon as you download and install the program. The notepads are fully editable and you can create as many as will fill the page. So thankful I found this page !! My boss wanted me to come up with a way to have a Brag Board for our employees and my Google searches were coming up empty until I found you !! Thanks so much for the Padlet link !! Recently I needed a tool for affinity diagramming and I found memosort.com. It’s a simple tool, with some brilliant ideas (you can add sketches, videos etc. to the ‘reverse’ of the cards. It has some flaws (it doesn’t support some browsers) but overall, it’s a great tool to work with. Thanks for the info, just wanted to mention Corkboard Me has where you do need to register, so you may want to update the post. It would be great if there were some that you could set up on your own site with your own host and use your own url. Pinitto.me seems to be developing an opensource downloadable corkboard that could possibly be set up on personal websites. I reviewed your list, but I am happiest with Google Keep (app used with Google accounts). I can automatically set a title, which the other boards don’t do, that’s important for my needs. It also gives you the choice of making your note into a checklist, and it is easy to change the note color. You can search and archive notes. The only thing is you can’t customize the background. I know it’s silly, but I really wanted mine to look like a corkboard! Great list! I would add http://Pindax.com to this list. It allows you to pPost text, images, files, tasks and polls in real-time. Keep your boards private or choose to share them. Perfect for backchannel communication. thanks for the post. Is there a corkboard that allows you to cluster posts? I want to post things and add a theme, or a date (to throw away the posts that are older). Is that possible? Sorry, I’m not sure — you’ll have to check each of them out. Hi Larry, thanks for the detailed post on available boards. I’m writing from a different angle, in that the team I work with has just developed software to display these sites (in fact, any website) in rotation. Why does that matter? Maybe you want to display on your screen one of the apps listed above, but also the weather, an alternative dashboard, the bus schedule, and so on. By installing our project, Screensaver Ninja, you can link to any website and set the computer to screensaver mode, at which point the screen will rotate between all of your choices. I’m wondering if you’d be interested in using this type of product? Before I scare you off, this isn’t a sales pitch 🙂 We offer a free license within public education sector, so just drop us a line if you’re interested. Hello in our effort to go green our church is trying to figure out away to email Sunday bulletin/ announcements/ programs. Is there a website or tool you would recommend? Right now we are using Microsoft word and printing them out every Sunday. Greatly appreciate your listed resources. As a new teacher, these are a great addition to my digital tool box. Thanks for the heads-up. I just added that note to the post.